Our four grade based traditional camps – Starburst, Thunder, Lightning and Quasar – are designed to match the social, emotional, and physical development of campers. For instance, Starbursts have two dedicated counselors per camper group, and more transitional and “down” time. Thunder campers are introduced to most camp activities throughout the week, travelling with a close-knit camper group and dedicated group counselor. With our new schedule, in addition to scheduled waterfront activities, Lightning campers will choose two programs to dedicate themselves to for the week to allow for more in-depth projects and skill building. The Quasars are offered more choice and independence with opportunity for leadership. Each camp group has its own schedule and programming. Most of the day, each camper is part of an unchanging small group to ensure familiarity and relationship building. 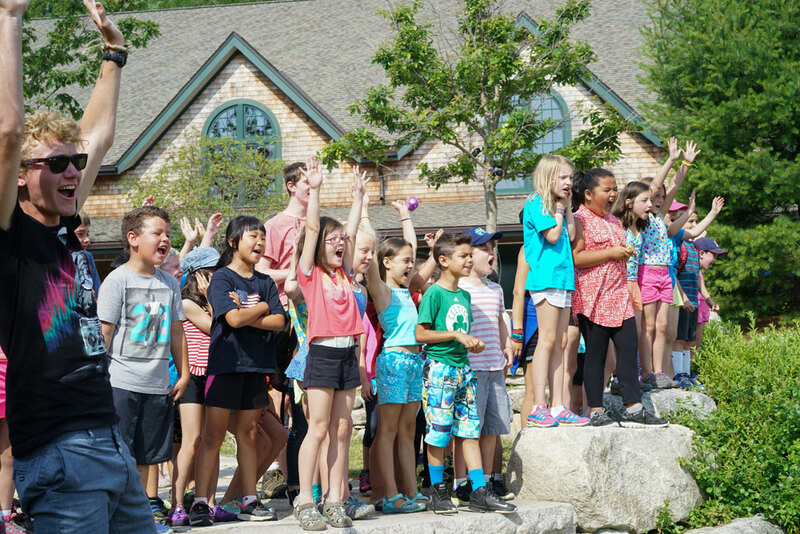 At the same time, everyone (Thunder, Lightning and Quasar campers) has the opportunity to participate in periodic all camp events and Camper Choice (when the campers choose the activity with which they end their day). Please Note: Due to the strong demand for the Starburst program and limited number of spots per week (24 campers), it is unlikely that individual campers will obtain registrations in all weeks of the summer. 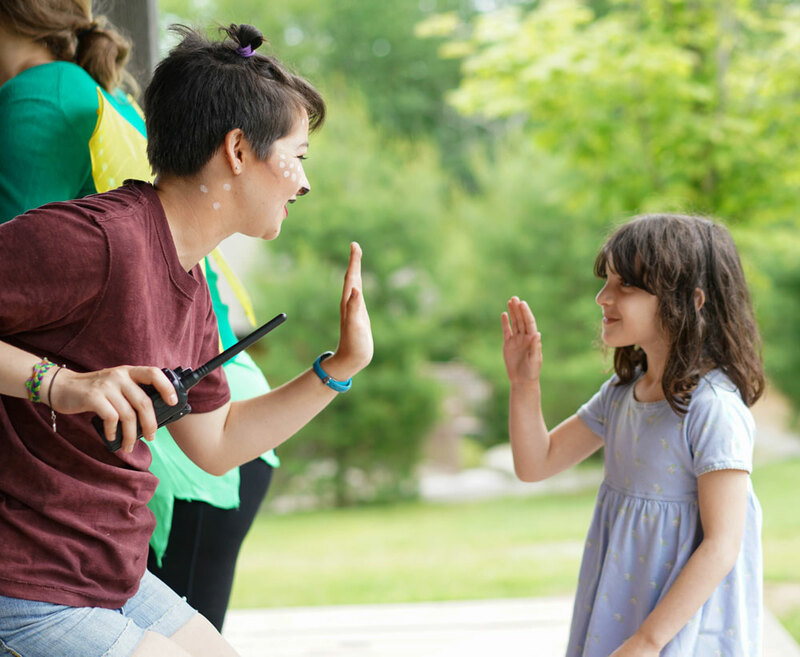 With an active daily schedule designed to meet the developmental needs of our youngest campers, we provide Starbursts with an introduction to camp. Starburst campers participate in: Archery, Arts & Crafts, Canoeing, Climbing Wall, Field Games, Nature explorations, Performing Arts, Story-time, Swimming, Yoga, and special themed activities. Is your camper ready to be a Starburst Camper? Being ready for Camp Beech Cliff means being able to carry a backpack with lunch, water bottle, swim suit, and towel; hike down and up the big hill once a day, carrying the backpack; keep track of belongings, change into a swim suit, and eat lunch and snacks independently. While we offer our Starburst Campers extra support and care with two counselors per group, not all Kindergarten and 1st graders are ready for the rigorous schedule. Starburst Campers are typically children who are accustomed to a full-day program or are used to keeping up with an older sibling. We cannot make special arrangements for half day or partial week programs, although you always have the option of keeping your camper home for a day or picking him/her up early. Physical Development – CBC Starbursts are on the move – literally! Starburst campers navigate our large campus and participate in lots of active programs catered to this age for developing motor skills. Social & Emotional Development – These campers are beginning to think about how they look in the eyes of others and we help them find their comfort zone. We teach good sportsmanship and give the love and support that our youngest campers crave. Intellectual Development – Starbursts love to ask questions and we do our best to answer them! We understand they will learn best through trying new things and positive modeling by staff. Group Participation – Recognizing our own strengths and how to help others is central to the Starburst camp. Counselors help campers understand how their choices affect other campers and work to develop appropriate responses and behaviors for every camper. Fundamental Skills – Campers work on fundamental skills such as learning to tie shoes, swim underwater, and greet new friends. Routines – Consistency is key with this age. While we offer a variety of activities throughout the week, Starbursts run on the same daily schedule. It’s usually our returning campers who help teach first-time campers about CBC routines (i.e. how we start the day, where to eat snack, who to ask and take with to go to the bathroom). Designed specifically for younger campers, this program provides a nurturing setting to introduce young campers to activities in each of our program areas and encourage them to try new things and discover hidden talents with ample support from staff. Activity blocks will be approximately 50 minutes long to ensure a dynamic schedule with plenty of opportunities to try the various program areas that camp has to offer. Critical Thinking – As these campers learn many new academic skills in school, they are also developing many physical and fine motor skills. This is a ripe age for campers to be trying new things and discovering talents! Comprehension – Programs for Thunder campers are designed to be a bit more in-depth as their ability for comprehension and retention develops. Self-Control – Counselors work with this age on recognizing their behaviors and movements and guiding them to make positive impacts. Fine Motor Skills – 2nd and 3rd graders are ready to learn about new ways to move and manipulate their body. While they continue to test their skills, they also display intense curiosity about how it all works and delight in newfound physical abilities. Personality Growth – As these campers grasp concepts like space, direction, distance and time, suddenly schedules and routines become the focus of their attention. These campers also start to recognize their position within a group and try on different behaviors and roles. CBC counselors are expected and trained to have keen observation of group dynamics to monitor a positive camp atmosphere. Lightning Camp is designed for youth who want to exercise their independence and strong interests in specific program areas. Lightning campers choose two programs (skill classes) and focus on these activities for the entire week. 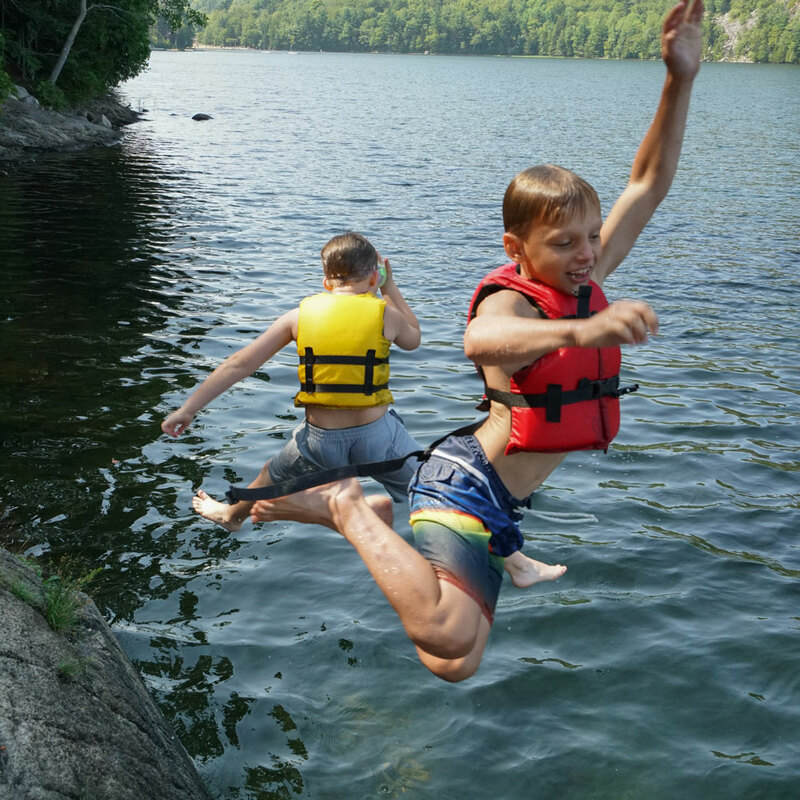 In addition to regularly scheduled waterfront activities (swimming, kayaking, canoeing, and sailing), every Monday each camper choose two skill activities which they will focus on for the week (Monday through Thursday). We celebrate the end of the week with Fracky Friday – think crazy costumes and special themed programs. Skill Classes give each camper the opportunity to explore their interests with more time to have individualized instruction and work on in-depth projects. Recognizing that this age group still needs plenty of support and supervision, Lightning campers begin and end each day in smaller groups routinely checking-in with a dedicated group counselor. This consistent social setting encourages respectful interactions with peers and strong connections with counselors. Developing Skills – This is a time when youth are beginning mastery and keen interests of individual activities. Identification – 4th – 5th grade brains are honed in to classifying their surroundings, be it animals, cars, or people! CBC counselors focus on cultivating positive friendship making skills with this age group. Critical Thinking – Lightning campers begin to understand complex social issues like war, poverty and religion. Our staff are trained how to respond to challenging topics to keep camp a space for fun and acceptance. Conflict Resolution – This is a skill that takes constant practice and refinement. There is no place as safe and prepared as camp to practice these critical life skills. Independence – The freedom for decision making with skill classes (see description below) and responsibility keeps these campers thriving and excited to help guide their camp experience. Talk – Many 4th – 5th graders speak their words as they are thinking them. Thinking before we speak is a skill CBC counselors work to foster in campers. Ready for something different from the traditional CBC experience? Check out our Specialty Camps for opportunities to spend the week focused on a specific theme. Check out the possibilities on our Specialty Camps page. Now just for 6th-7th graders! Join your friends for Archery, Arts & Crafts, High and Low Ropes Course, Stand Up Paddle Board, Pottery and more! Program areas have activities designed specifically for Quasar campers to learn new skills, share ideas on group projects, or work independently. Design your week by choosing skills classes to delve deeper into the programs areas you want to focus on; selecting your vessel at Boating in which to explore Echo Lake (kayak, canoe, sail boat, or stand up paddle board); and ending the day with more Camp Choice! Social and Emotional Forming – When social freedom is desired, mentors have an even greater impact at this age. Our counselors are trained to keep a keen eye on group dynamics, actively facilitate the forming, norming, and performing that is central to the lives of young teens. Motivation – It takes the right staff and energy to motivate young teens. CBC chooses their Quasar leaders for their ability and experience to motivate and facilitate these leaders of the future. Finding the balance between internal and external motivation is key. Critical Thinking – Quasar programs give young teens opportunities to think for themselves, engage in experiential education and thought-provoking activities, and voice their observations in a supportive, caring environment. Reflection – Reflection and learning when it’s appropriate to speak and when it’s appropriate to listen, are an integral part of the Quasar experience. Our LIT Quasar campers get the opportunity to lead activities for the 2nd and 3rd graders. After all of the preparing, planning, and presenting, they debrief their experience as the leader. Ready for something different from the traditional CBC experience? Check out our Specialty Camps for opportunities to spend the week focused on a specific theme.